The "eat that frog" strategy lets you assign one of three types of frogs to your tasks. What are the frogs for? The frogs are a play on the famous saying: "If you have to eat a frog today, you should do it first thing in the morning"
It's a popular productivity methodology to identify a task that you are dreading but that is important and get it out of the way first thing in the morning. In Marvin you can use the frogs in different ways. The idea is to assign a dread level to a task. The more you dread doing a tasks the bigger the frog it gets. This can be helpful to become more aware of which tasks are at risk of being procrastinated. When should I assign the frogs? 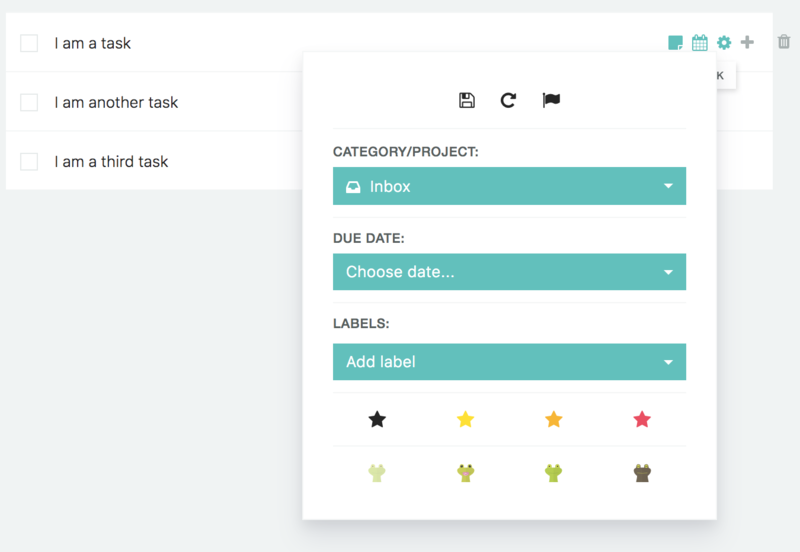 Depending on how you use the frog strategy, you can assign a frog when you first create a tasks or you can assign frogs to your daily tasks before you get to work on it. What do the three different frogs mean? those are the three "levels" of frogs. Depending on how you use the frog strategy it might be helpful to get reminded daily to assign your frogs so you can tackle those first. In the strategy settings you can turn on a reminder and a frog will pop up every day in your day view to tell you to assign your frogs.